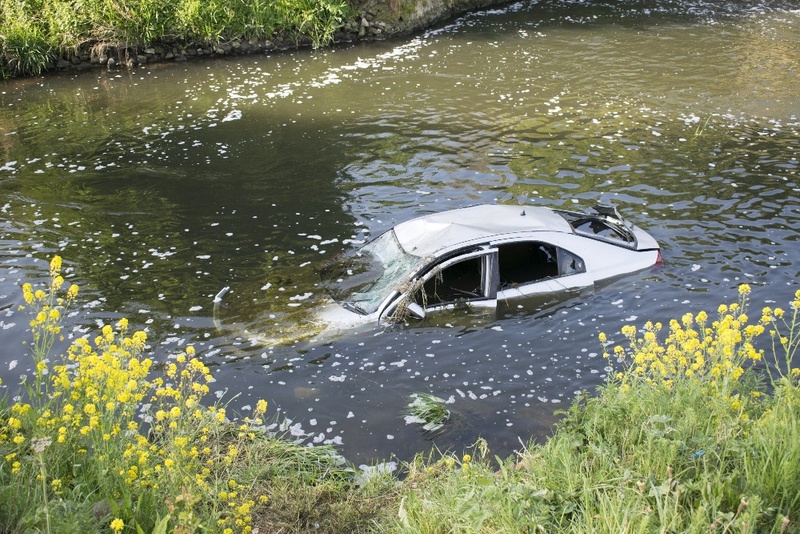 It sounds like something out of a sitcom: someone blindly following their GPS directions and driving directly into a lake. Wait just a minute...it is out of a sitcom! Fans of the television show The Office will remember a disoriented Michael Scott driving himself and passenger Dwight Schrute right into Lake Scranton due to confusion over GPS directions. We laugh, of course, but it actually happens more often than you may think.Here are a handful of real-life stories from around the world that highlight the dangers of over-reliance on GPS. Three Japanese tourists visiting Australia hit the road for North Stradbroke Island, a small island off the coast of the mainland. While the GPS did give them the most direct path, it failed to show that it involved crossing nine miles of water to get there. 50 yards offshore the vehicle became stuck in muddy waters, forcing the crew to abandon the vehicle and walk back to shore. 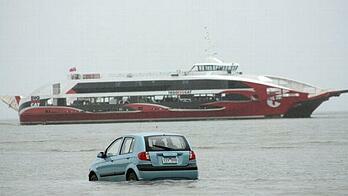 Passengers on a ferry—the way most people get to the island—witnessed the embarrassing event from afar. 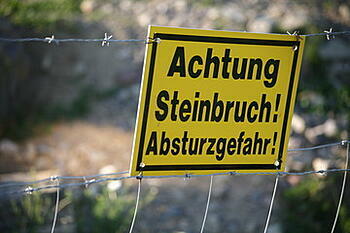 Some devices can’t account for construction, but an 80-year old German motorist blindly followed his GPS regardless. So obedient was the driver that he crashed through the highway’s first “closed for construction” sign, and kept going through three more successive barricades. His clueless cruise finally came to a stop when he plowed into a sand pit that signs had been warning about. The driver and his wife escaped the vehicle uninjured. 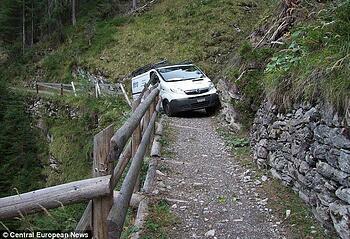 Despite his better judgement, full-time van driver Robert Ziegler followed his GPS as it led him up a goat track in the Swiss Alps. Ziegler was growing increasingly uncomfortable with the route, but thought that “each little turn would get [him] back to the main road.” That never happened, as you can see, and by the time the GPS instructed him to turn around, it was already too late. Ziegler became stuck around the peak of the mountain, and local rescue services were brought in to airlift Ziegler and his van to safety. A woman went white-water rafting in her Mercedes when she followed her GPS down a winding road and straight into the River Sense in Sheepy Magna, Leicestershire. 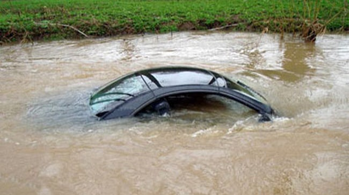 At the behest of her GPS, the driver ignored a series of signposts and plunged into the river; making matters worse, the river was “swollen from heavy rain,” and it carried her nearly 700 feet downstream, pinballing from bank to bank. The driver frantically tried to kick out the windows, and eventually was able to get one down far enough to crawl out and swim to safety before the car completely submerged. Three Mexican tourists visiting Bellevue, Washington for a Costco conference found themselves in deep water—literally. Out past midnight and unable to find their hotel, the women relied on their GPS for help, which directed them to a side road that would supposedly lead them back to the highway. 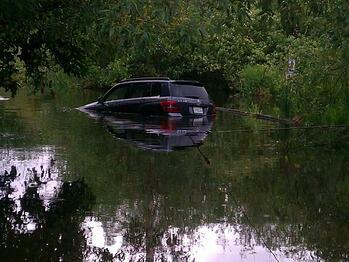 Instead, it lead them right into water—the “road” was actually a boat launch. The trio managed to wade back to shore, but the SUV was completely submerged and Marine Patrol had to tow it out the next day. Seeing as though all parties escaped with everything but their dignity intact, these stories do lend themselves to a laugh. However, GPS distraction can be deadly—and that’s not funny. Check out our story 8 Ways to Help Avoid GPS Driver Distraction to learn the best practices for driving while using a GPS—and to ensure you don’t make the next list of GPS fails. And, if you’ve been injured in an accident caused by driver inattention, contact Lowman Law Firm today for your free consultation.